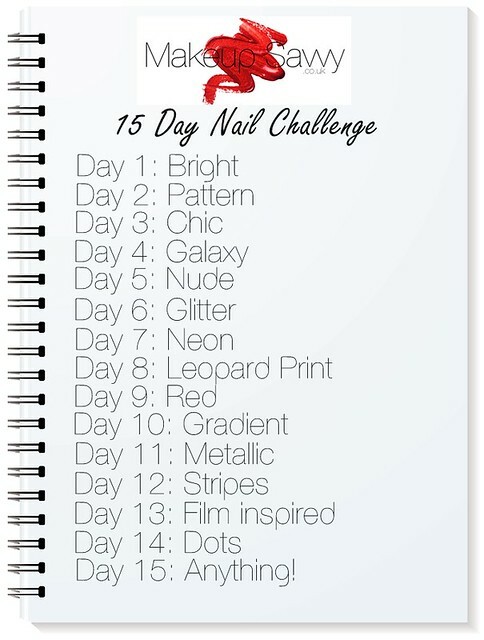 I'm taking part in the Makeup Savvy 15 day nail challenge - it's a challenge created by Fee of Makeup Savvy where you have a list of different nails or nail art to do every day for 15 days. I'm going to try to join in with as many days as I can. It's a great way of pulling out some of my lesser used polishes and forcing myself to be a bit more creative and ambitious with my nails. 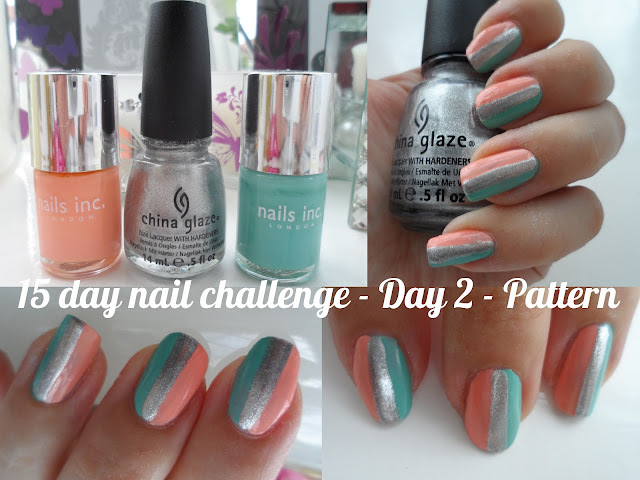 I'm a little bit late starting, so here's day 1 and day 2. I shall try to be on time with the others! 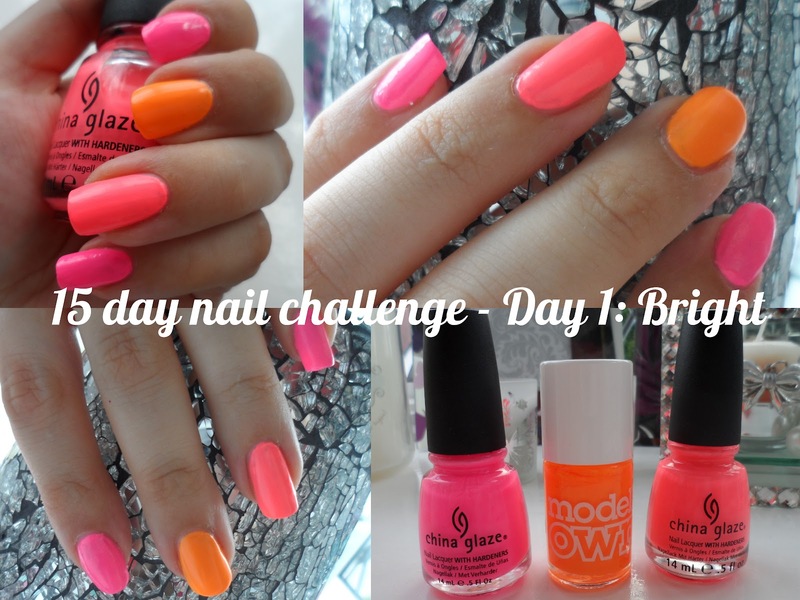 For Day 1 - Brights, I used the brightest polishes I could find in my collection and knew I was headed for flip flop fantasy by China Glaze. Left to right in the picture of polish bottles these are China Glaze Shocking Pink (neon), Models Own Orange Sorbet and China Glaze Flip Flop Fantasy. I'm not sure my nails have ever been so dayglo! Day 2 is pattern. I'm a bit rubbish at anything other than the simplest of nail art, so I don't have anything amazing here. Technically this would also fit the day of the challenge for stripes, so I'll have to make sure I do something quite different for that. I've actually lost my dotting tools somewhere which is really annoying and the fake konad (fauxnad?) plates I bought don't work with any of my polishes, so I'm blaming the tools here! That said, I really like how this turned out and love the colour combination. The bottles left to right at Nails Inc Wellington Square, China Glaze Icicle and Nails Inc Haymarket. 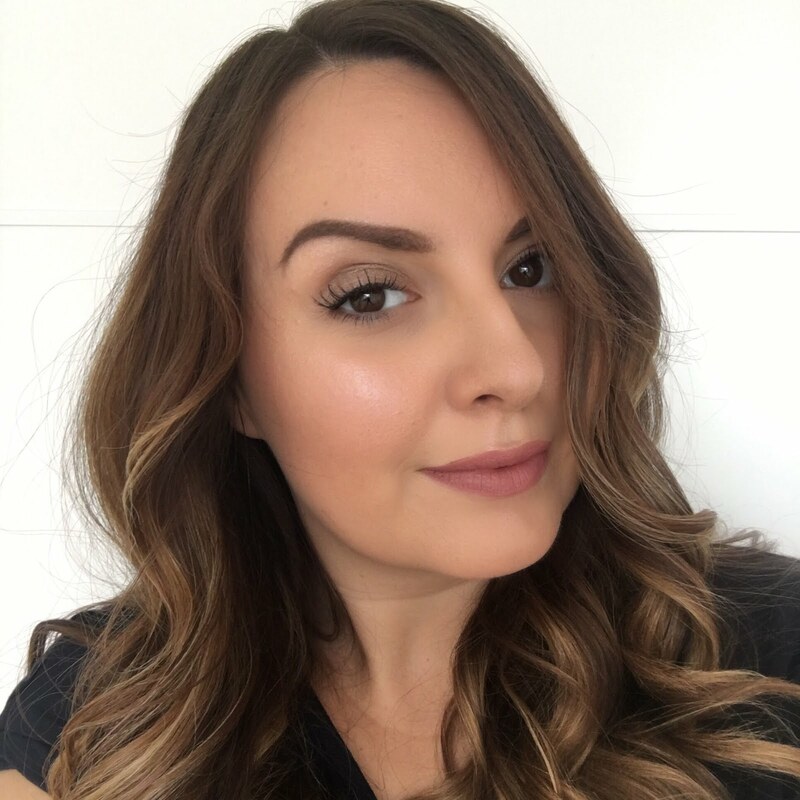 If you want to join in with the challenge, have a look at this post from Fee which explains it all. Also, here's the list of what's next in the challenge - I really hope I manage to do them all. Yep, not sure I'm going to manage all 15!